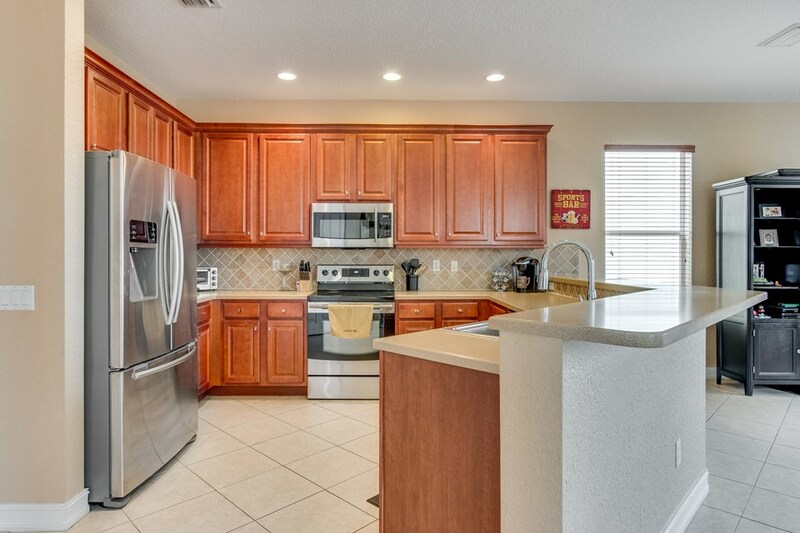 Move-In Ready Home in Canyon Lakes. 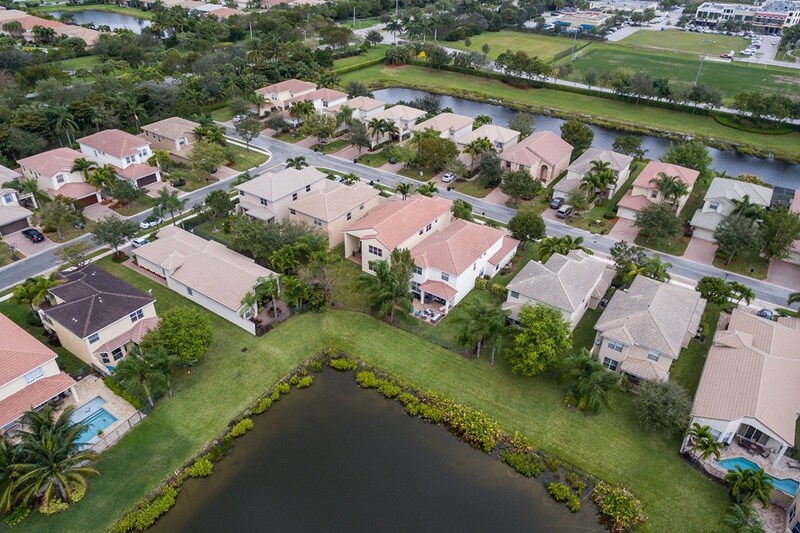 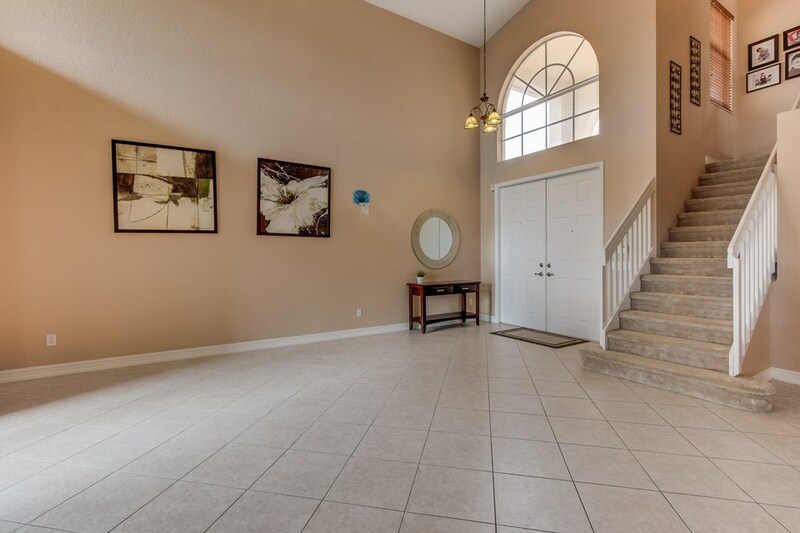 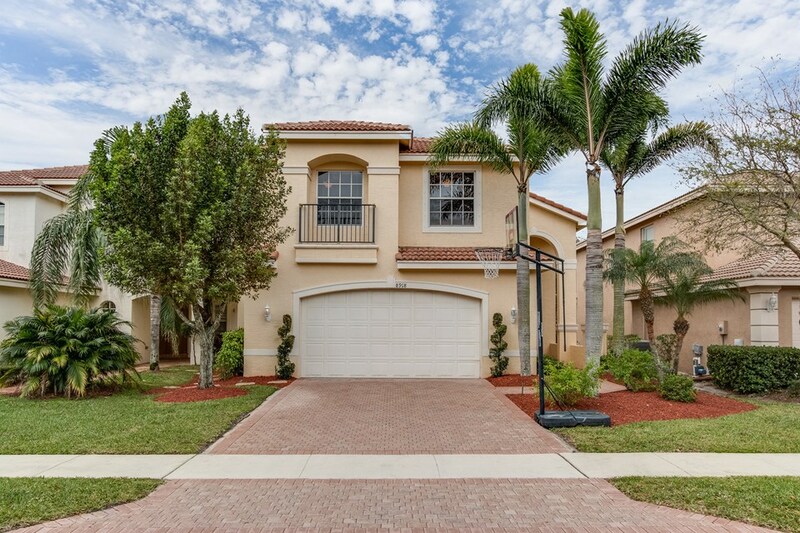 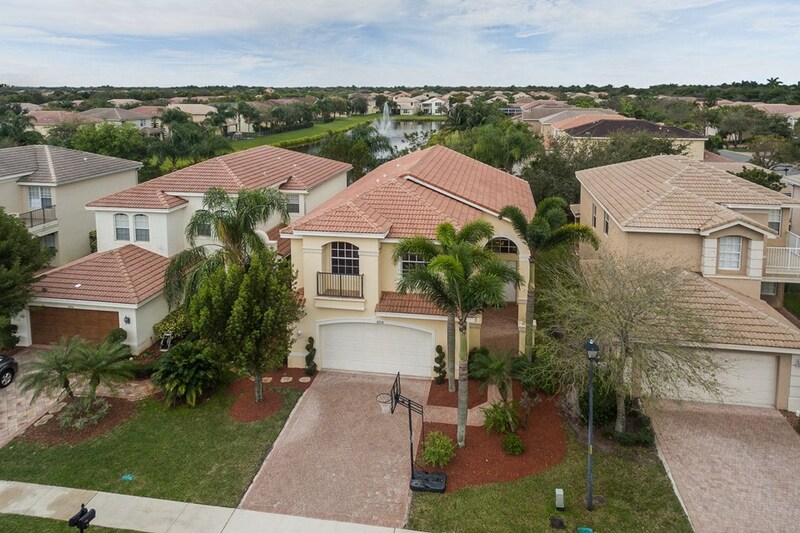 This Meticulously Maintained Home sits on a Gorgeous Fenced Lot with Stunning Long Lake Views. 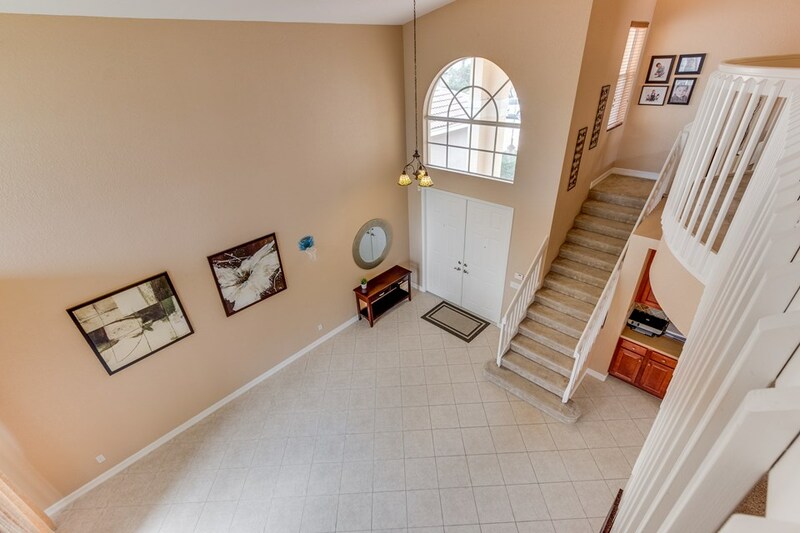 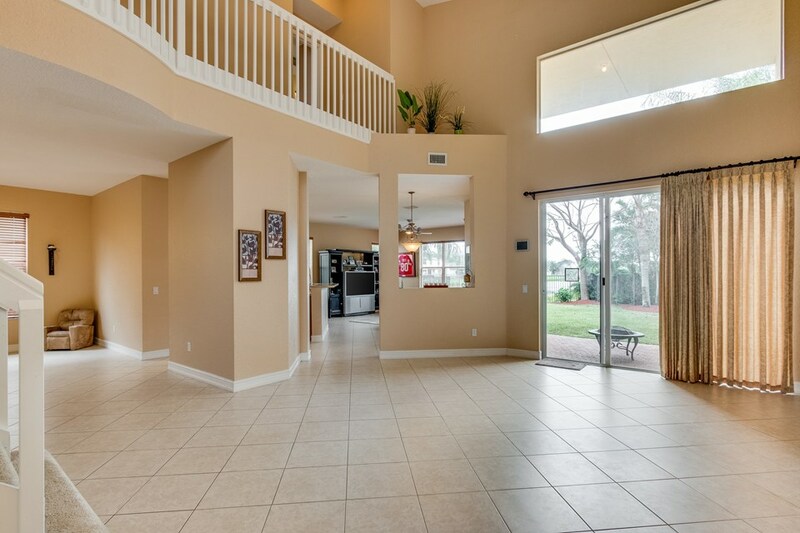 Entering you will notice the Impressive Vaulted Ceilings. 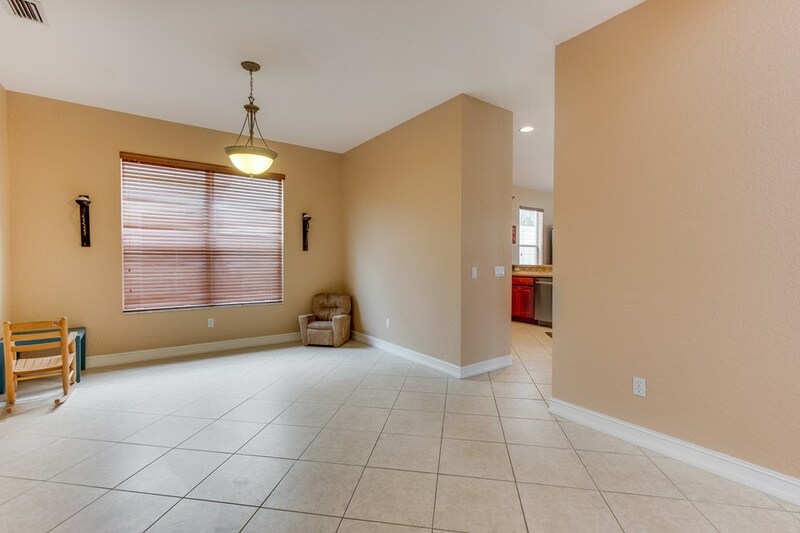 There is Neutral Tile on the Diagonal in all Living Areas. 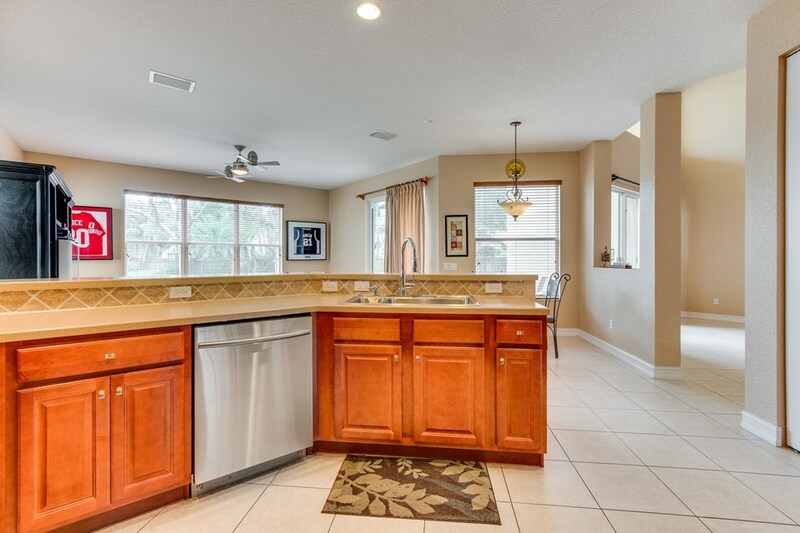 The Well Appointed Kitchen includes 42' Wood Cabinets with Crown Molding & Undercabinet Lighting. 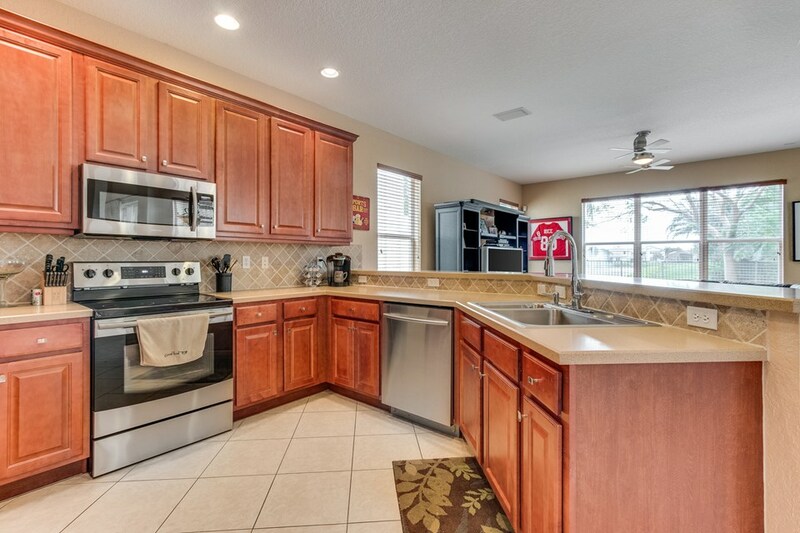 In addition, there are Newer Stainless Steel Appliances including a French Door Refrigerator & Corian Counters. 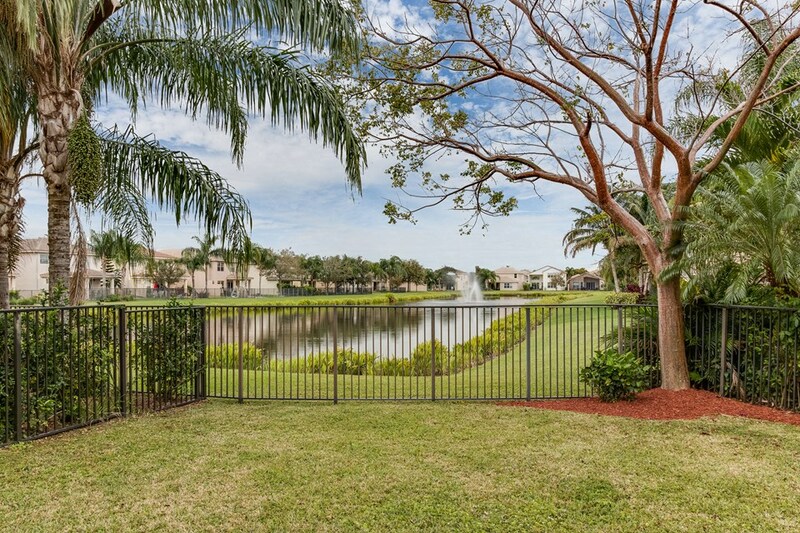 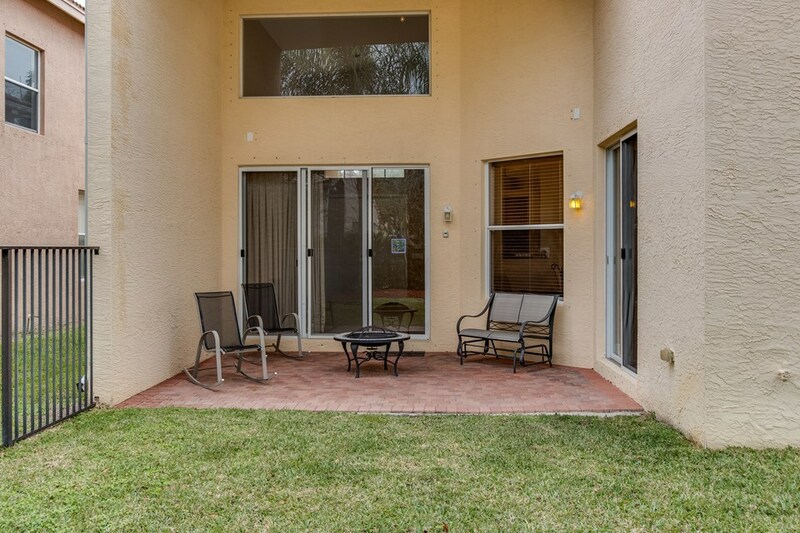 The Large Family Room leads to the Beautiful Backyard with Covered Patio & Fenced Yard with Awesome Views of the Lake & Fountain. 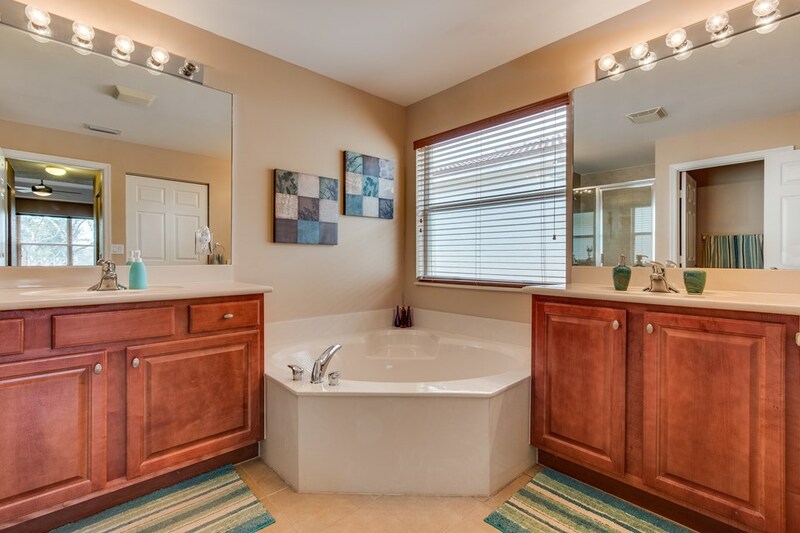 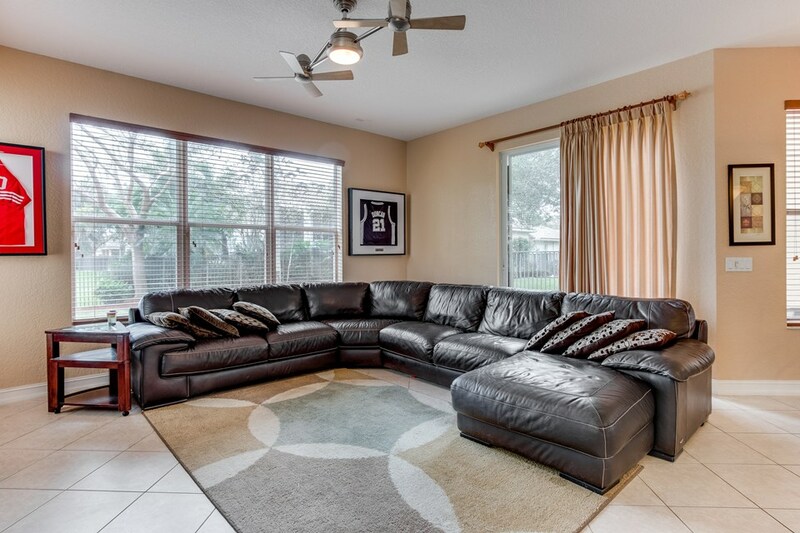 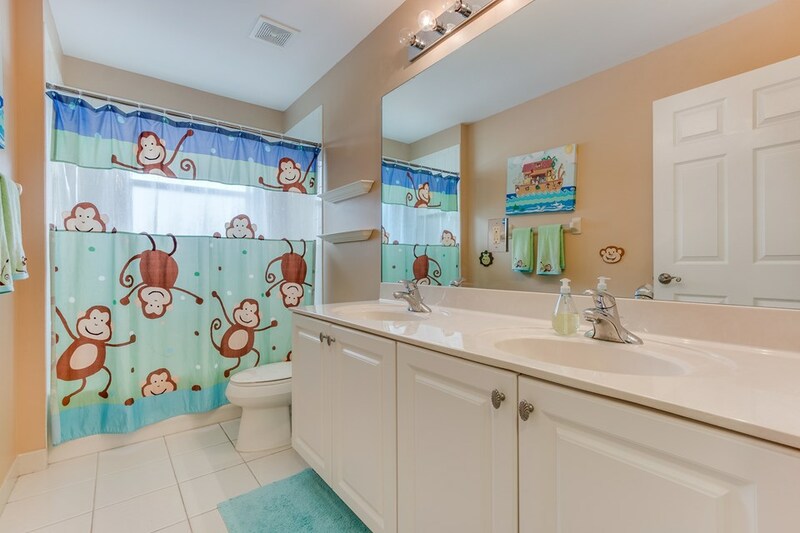 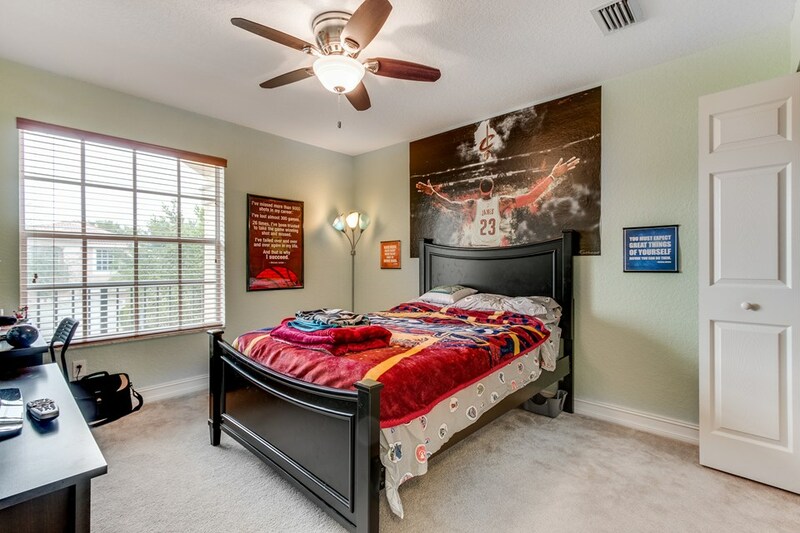 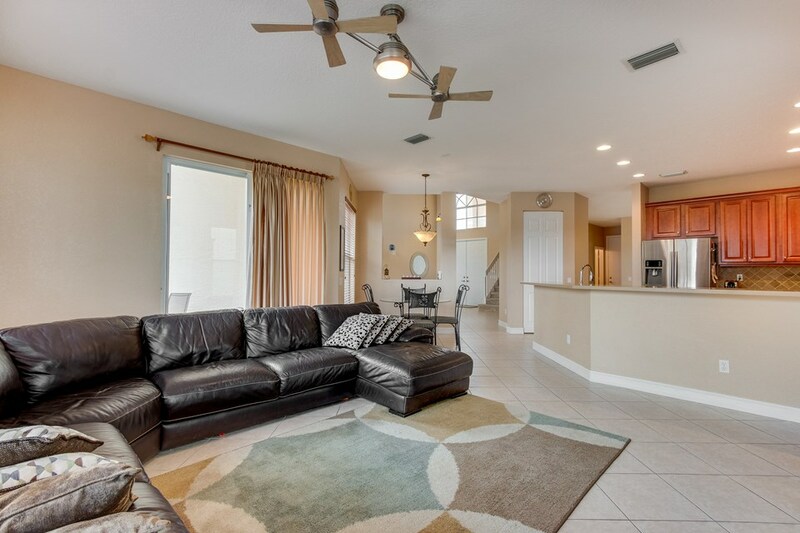 Upstairs, the Master Suite has 2 Walk-In Closets and a Great Master Bath with Wood Cabinetry & Upgraded Tile. 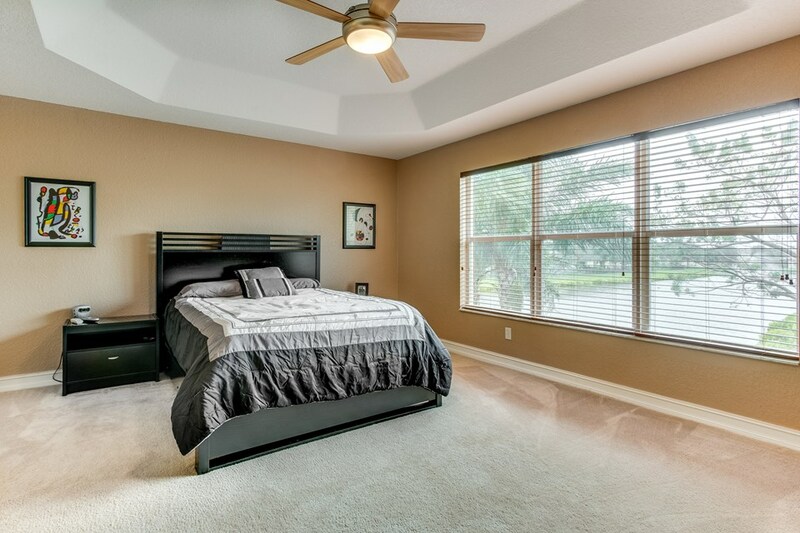 There are 3 Large Guest Rooms as well. 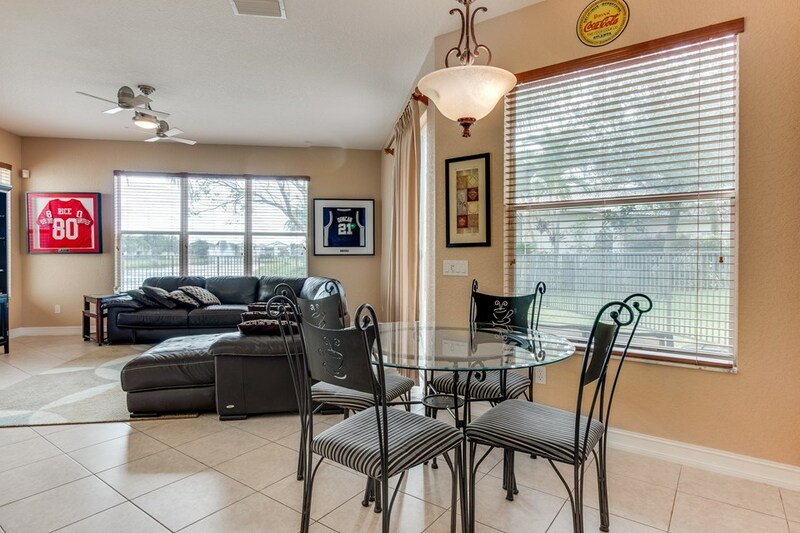 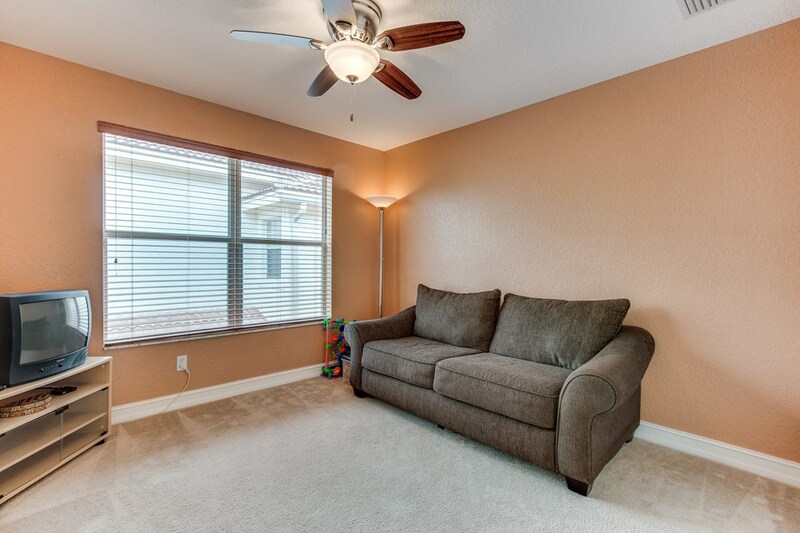 The home has a Newer AC System & Neutral Paint Throughout.